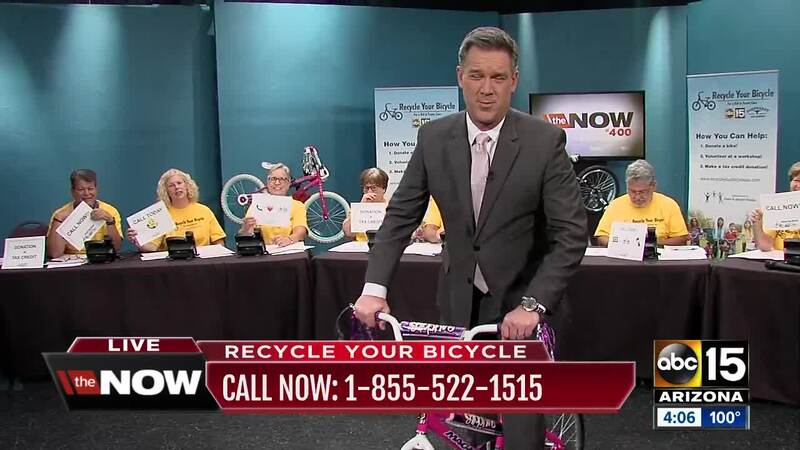 The phone bank has now opened for Recycle Your Bicycle donations at ABC15. Steve Irvin has the latest on how you can help. Have an extra bike you no longer use? Donate it to a child in foster care! ABC15 and Earnhardt Auto Centers are collecting new and gently used bicycles to give to Arizona kids in the foster care system. Our phone bank on September 26 raised $22,355 to buy bike supplies like tubes, tires, new seats and cleaning supplies! These donations will go to buy bike supplies like tubes, tires, new seats and cleaning supplies! The Arizona Association for Foster & Adoptive Parents will help distribute all the bicycles collected during the drive to children during this winter’s holiday season. The organization’s goal is to support, educate, empower and provide a unified voice for Arizona’s foster and adoptive families with increasing the well-being and stability of the state’s most vulnerable children. Children in foster care have an especially tough life. Many times, they enter foster care with no more than the clothes on their back. Our partners at Recycle Your Bicycle want to make sure every child can participate in a normal part of growing up – riding a bike. 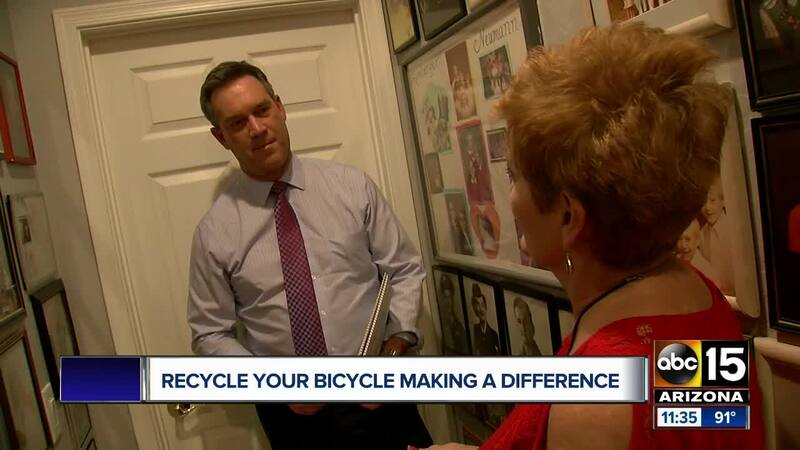 "One mom who got a bike last year told us that 'bikes have heart healing powers,'" said Joe Jacober, coordinator of the Recycle Your Bicycle program. "We are amazed and grateful at how our community comes together to help us make sure that vulnerable children in foster care have a 'first bike' memory like every other kid." Recycle your Bicycle started in 2009 with one volunteer and one bike. Over the years, it has grown into a year-round collection effort. In 2016, the program distributed more than 1000 bikes.